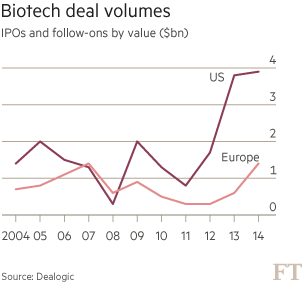 Why have only a few European biotechs made it through the IPO window? If the recent falloff in biotech IPOs continues, then many European biotechs would seem to have missed the longest, widest IPO window in the history of the industry. Why did a few European biotechs manage to go public (on NASDAQ, Euronext and the London Stock Exchange) in this window when most others did not succeed or even try? The conservative attitude of European IPO investors. Sorting out the reasons for this phenomenon is important because of the long-term implications for the biotech industry in Europe. I’ll circle back to that larger question after looking at the data on some representative European IPOs and examining the reasons more European biotechs have not made it to an IPO during this window. 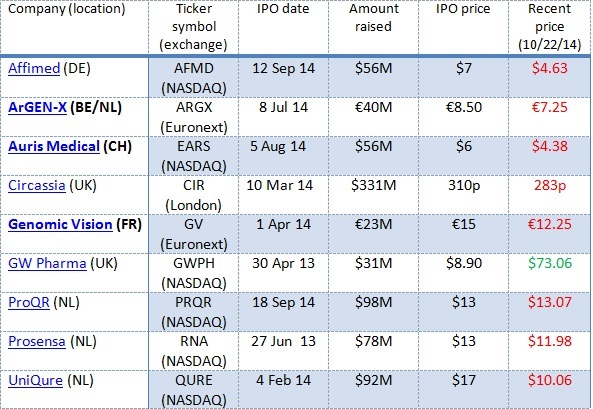 In Table 1 below I put together a sampling of eight European biotech and life sciences companies that pulled off IPOs in 2013 and 2014, their locations, their IPO dates and the amount of capital they raised. Companies came from several European countries. They went public on several stock exchanges. Some of them raised a considerable amount of money (though typically less if they went public in Europe). Most of these are therapeutics companies (similar to the US IPO crop). With one dramatic exception, the stocks have traded down. By comparison, according to data from an industry insider we know, this group of European companies have raised about the same on average as US biotechs that have gone public on NASDAQ in 2013/14 – $68.5 million for these six vs. $64 million to $70 million in the comparable crop of US-based biotechs. The trading down tells me that, while investor interest was just as strong initially for the European biotechs as for their US counterparts, the European companies either did not have the news flow or (my hypothesis) they lacked the “true believers” in their stories that would have been required to keep prices up in the months after their IPO. Venture investors like panelist Rafaèle Tordjman, a general partner with Paris-based VC fund Sofinnova Partners, recalled that there have always been such challenges for European companies. “Our portfolio company Movetis went public on Euronext at the same time [in 2009] and at the same stage as Ironwood Pharmaceuticals but the valuation was three times less!” To be fair, she continued in an email, Movetis, later acquired by Shire, owned only European rights to its gastroenterology product whereas Ironwood owned worldwide rights. But the valuation gap still seemed disproportionate. Despite the huge increase in investment interest in biotech in the United States from both specialist biotech investors as well as generalists, the sector has not gained wide enough appeal yet among either category of European investors to provide sustained support for a European biotech industry on either US or European exchanges. On top of that, what has happened lately is a wave of specialist support for US biotechs, which have been able to go public without much generalist backing at all. In any event, the total amounts raised by biotechs in both IPOs and follow-ons combined have turned up in Europe but they still lag US deals by a wide margin (Figure 1). Figure 1: Europe lags in volume. Data courtesy Dealogic. Figure courtesy FT. Some reasons vary country by country. Germany, in particular, has lain fallow for many years in the aftermath of the dot-com boom. German tech stocks have come roaring back but there has not been a single biotech IPO on the Frankfurt exchange. Only one Germany biotech company, Affimed Therapeutics, an antibody therapeutics company in Heidelberg, had a NASDAQ IPO in 2013-14. It raised $56 million. In other European countries such as the Netherlands and Great Britain, there are quite a few high-quality biotech companies so windows might someday reopen. There are signs of a thaw in Switzerland, where both institutional and retail investors were burned by disappointing clinical results from companies like Addex and Cytos. On September 23, the day after the panel discussion took place, Zurich-area biotech Molecular Partners announced that it was filing for a blockbuster $134 million IPO by the end of the year on the Swiss exchange SIX. But none of the European biotechs I know would be likely to choose an EU over a US IPO if current conditions prevail. If the wave of IPOs that hit NASDAQ were to later reach Europe’s shores after it hit NASDAQ, this would be about the time for it to happen, but, with the exception of that one big-ticket Swiss IPO attempt, there is little sign of a biotech boom on Euronext or other exchanges. 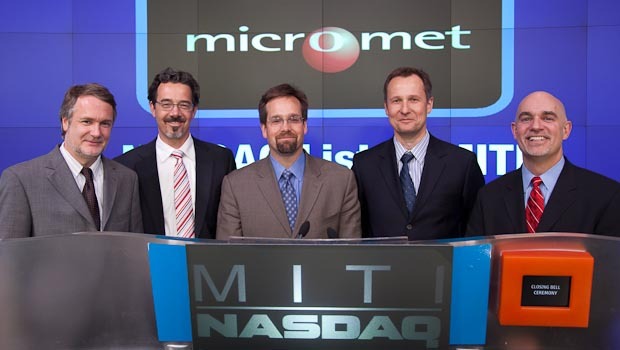 In fact, on October 21, just before this post went to press, Molecular Partners pulled its IPO due to “market conditions.” “Whenever Wall Street starts coughing, Europe gets pneumonia,” was how one European biotech industry insider characterized that reversal. For those who have not encountered them, crossover investors, mostly US-based, have been driving the surge in biotech investment for some time now. This is a big change from the 1990s and early 2000s, when many pre-IPO investors, including venture capitalists, were eager to “flip” their shares immediately post-IPO. That period ended abruptly in around 2003-2004. What has happened lately is really the opposite. 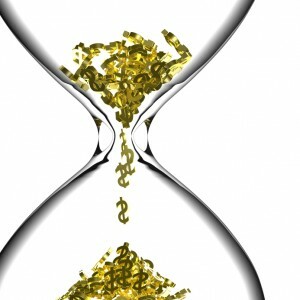 Savvy crossover funds jam-packed with PhDs and MDs are getting in just before the IPO with the goal of getting a bite of the company at a better valuation than they would get at the IPO. The same investors then typically buy in the IPO, then hold for clinical data. That is, the US crossover investors are not investing in the biotech as a non-public entity in order to turn it into a public entity that is now liquid and “flippable” but rather to turn it into a public entity in which they can share in and reap the rewards for good data (once their lockups have come off and they are allowed to sell shares). It’s not that Europe has none of these deep-pocketed, risk-loving investors. Some have played quite strongly in the recent boom – some funds in Switzerland, Polar Capital in London and Omega Funds in London come to mind. But the diversity of the crossover investing sector, including mutual funds and some VC-like funds as well as traditional long-only hedge funds, and the sheer number of funds in the United States dominate the industry. Indeed, Omega has begun to invest more frequently out of its Boston office and considers itself more of a global investor. At least twenty US funds, some of them able to deploy many hundreds of millions of dollars in capital, have been extraordinarily active over the past two to three years. There is no law preventing European management teams from pitching the same crossover investors that their US counterparts are pitching. But the logistical challenges are apparent. Ultimately, said Astley-Sparke, “a European company coming to the US has to be here a year in advance, doing non-deal road show work, getting in front of the crossover investors and preferably doing a crossover round. That [crossover round], in my experience, is almost a pre-requisite for being taken public by one of the larger banks.” Tordjman concurred that for Sofinnova’s portfolio company ProQR, a Netherlands-based therapeutics company focused on cystic fibrosis, the crossover round was very helpful. Panelist Dan Grau, the President of UK-based Heptares Therapeutics, a highly regarded, still-private drug discovery and development company with management located in both London and Boston, concurred. “The pathway of doing a crossover financing to lead you to an IPO is clearly the preferred pathway,” he said. The caveat for companies, said Tordjman, is that in order to access all that capital in the United States, sometime companies have to make sacrifices in their valuation. “It’s an equilibrium,” she said. Lining up the preferences of existing investor against the valuation wishes of new investors requires careful thought and planning. It will be a while before such a fund group can emerge in Europe. Some of the US-based crossover investors are part of decades-old fund families (e.g. Fidelity). Others among the seven thousand hedge funds in the United States are the specialists focusing specifically on pre-IPO biotech. It will almost certainly require a pretty large crop of European biotech IPOs that turn into long-term success stories for an investor pool like this to be replicated in Europe, if it ever is. What hangs in the balance for the European biotech industry is more than just the return rates for some biotech VCs or the valuations of a few biotech companies, as important as those aspects absolutely are for the readers of this blog. IPOs these days are financing events rather than exit opportunities. This is consistent with the “buy-and-hold” approach that most crossover investors are taking now with most therapeutics company shares they own. But then what is the endgame? For many companies developing exciting new therapeutics, that will be acquisition by existing biotech players. Biogen Idec found its high-flying dimethyl fumarate product Tecfidera in a European biotech. Amgen snapped up Micromet and BioVex, both of which moved part of their operations to the United States prior to acquisition. Amgen kept a research facility open in Munich but the companies otherwise were lost as sources for new ideas, entrepreneurs and capital in Europe. Other such examples are bound to follow. As I see it, what is at stake is Europe’s ability to build IPOable companies and fund them beyond the first good dataset. What makes a place a good biotech hub is well-known to us in the biotech nexus of Boston: Durable, lasting sustainable companies generating products, revenues, returns, innovation, ecosystems and spinouts. If the companies are all getting acquired – nipped in the bud, so to speak – such an ecosystem does not arise. If Europe wants to have a sustainable biotech industry, it doesn’t want all the companies acquired, at least not before there is enough value in the company and its team that it can create spinoffs and get them funded. On the other hand, if I’m a VC shareholder, I want and need them to get acquired. Meantime, Tordjman reported that DBV Technologies, a Paris-area Sofinnova portfolio company making protective immunotherapies against peanut allergies – largely a US market – had announced an hour before the panel began that it was taking the next logical step after it pulled off a successful 2012 Euronext IPO and, in September, 2014, obtained excellent Phase 2b data: it filed an F-1 with the SEC to go public (again) and have a dual listing on NASDAQ.